One of the handiest items found at 221B Baker Street has to be the wax bust of Sherlock Holmes. More than once it played a role as a decoy for Sherlock Holmes. But when did Holmes commission it and how did it get to Baker Street? And was it even the same bust between the two tales? 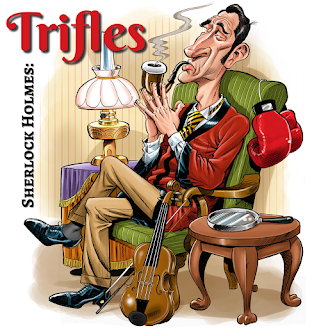 These questions and more await in the latest edition of Trifles.